This article studies the way tacit knowledge is dealt with in a high turnover business environment through a qualitative research approach in an engineering organization with respect to organizational culture and values and the effect in competitive stance. 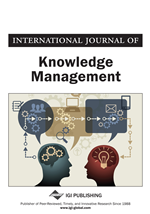 The study found peer review process and managerial/supervisory style to be effective in enabling new employees in a short time with knowledge critical for them to do a successful job, core values, and open-door policy to be necessary factors in forming a fertile environment for a quick tacit knowledge harvesting. The study also showed that a good competitive stance and customer satisfaction can be achieved and maintained through implementation of a rigorous peer review process. The study revealed noneffective utilization of knowledge management (KM) technical resources. The study directs future research towards evaluating possible objectives for utilization of KM technological resources, timeline for effective codification of tacit knowledge, and responsibilities for handling resources.